For more than a decade, we’ve made REPREVE performance fiber from 100 percent recycled materials, including plastic bottles. So far, we’ve transformed more than 12 billion plastic bottles into REPREVE, with a goal to recycle 30 billion bottles by 2022. So what’s next for leaders in sustainability? Our business is on a journey toward the most responsible manufacturing and business practices. And that’s just the start. For smart companies, sustainability is quickly becoming a given. Sustainability as the path to innovation is the next frontier. We see this as a movement, not a moment. As an industry leader, we have a tremendous opportunity to help our customers use sustainability to ensure competitive advantage. With the products we make, we can drive performance without compromising our customers’ environmental impact. What if… you could use sustainability to spark innovation? Unifi helps you open up a world of creative, innovative fabrics. Imagine building fibers your way, creating the performance your consumers demand. Combine REPREVE recycled fiber with our leading suite of advanced, proprietary technologies. Or embed more than one technology into most fibers for increased performance and comfort. 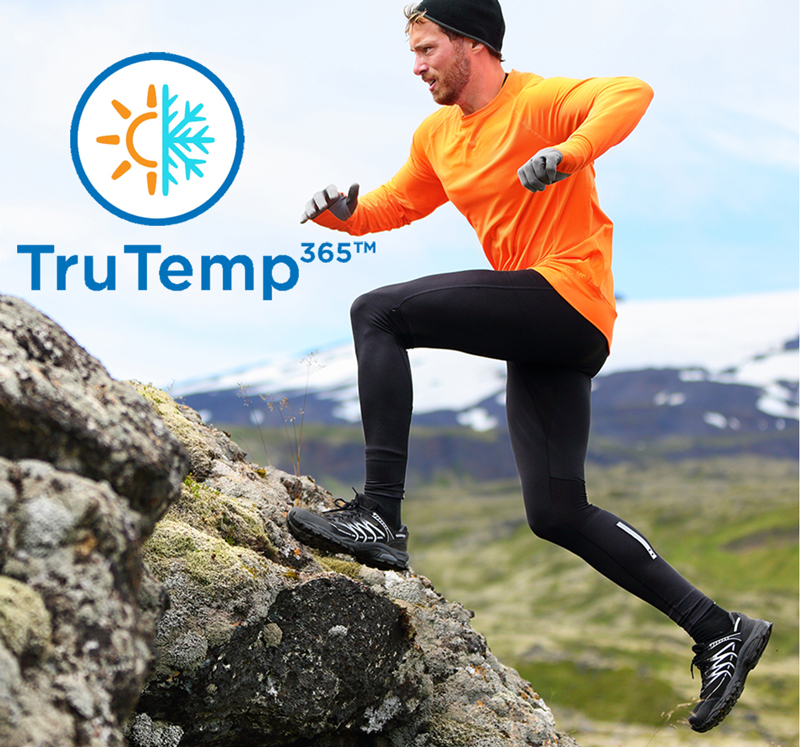 Fabrics made from REPREVE fiber with TruTemp365 create the ideal microclimate between you and your clothes: releasing heat when you’re warm and trapping it when you’re cold. Bounces back for lightweight comfort. What if you designed socks that seem to defy the laws of gravity? REPREVE fiber with TruBounce technology creates a lightweight fabric that truly bounces back, for more comfort and less wear and tear. Feels cool to the touch. Creating a premium look and feel—with the performance of sustainable, synthetic fabric—starts in the fiber. 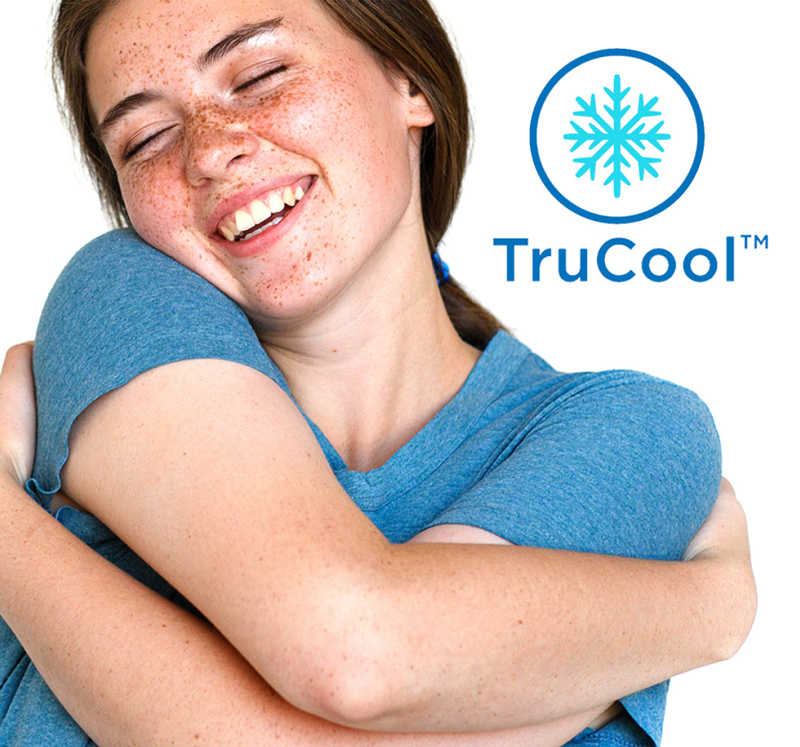 REPREVE nylon fiber with TruCool technology has a cooling effect when you put it on. Lightweight stretch and coverage without show-through. Consumers said they want performance, comfort, and to look their best without show-through. REPREVE fiber with TruCover technology takes care of business. At Unifi, we partner with leading innovators to imagine the unimaginable. We’re a global textile solutions provider and a world leader in synthetic and recycled performance fibers. Because true innovation starts in the fiber, we enable leading companies to change the world through revolutionary new products, while transforming how sustainable textiles are made. By making REPREVE, we’ve transformed more than 12 billion plastic bottles into sustainable fiber. 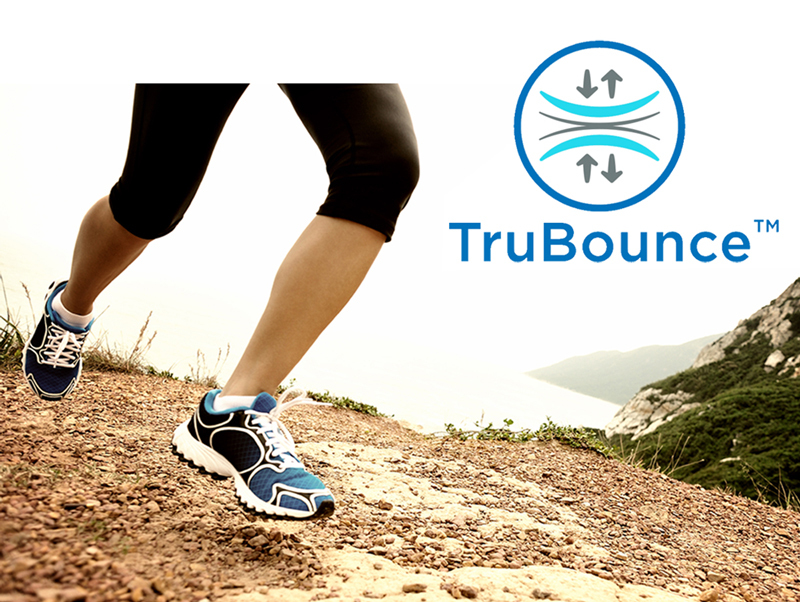 Our proprietary Tru technologies add increased performance, comfort and style advantages, enabling our customers to develop products that perform, look and feel better. With unquestionable quality throughout our flexible supply chain, we collaborate with many of the world’s most influential brands in sports apparel, footwear, fashion, home, automotive and other industries.